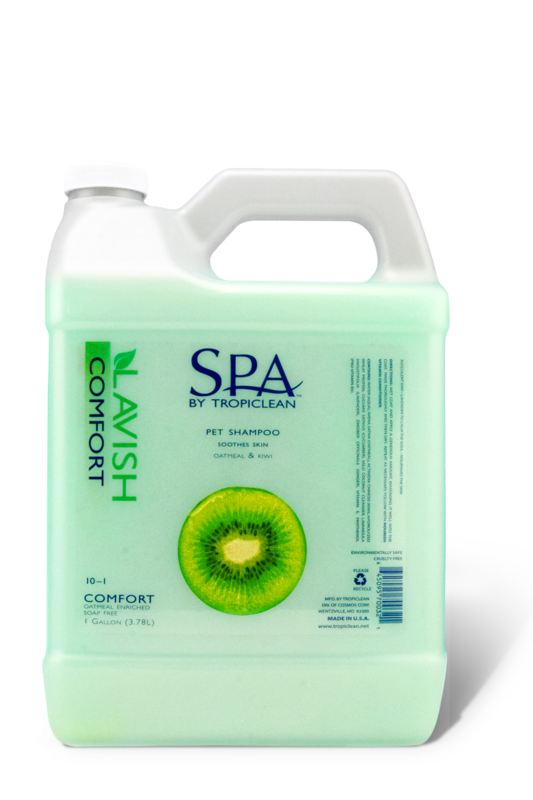 This rich combination of moisturizing kiwi and essential vitamins is designed to leave your pet’s skin and coat feeling silky smooth. 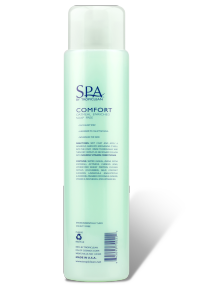 The SPA Comfort aromatherapy effects of lavender and the soothing effects of hydrolyzed oatmeal combine to relieve stress and calm the soul. 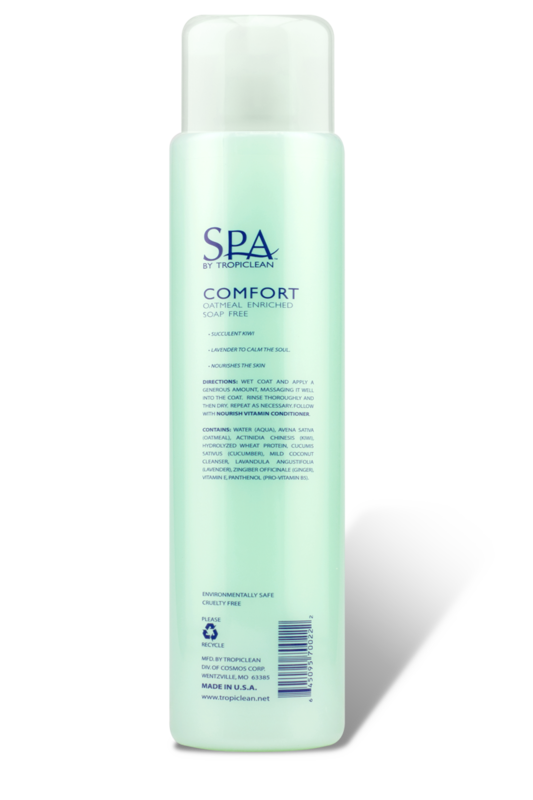 For maximum efficacy, use in combination with SPA Comfort Cologne. Water (Aqua), Avena Sativa (Oatmeal), Actinidia Chinesis (Kiwi), Hydrolyzed Wheat Protein, Cucumis Sativus (Cucumber), Mild Coconut Cleanser, Lavandula Angustifolia (Lavender), Zingiber Officinale (Ginger), Vitamin E, Panthenol (Pro-Vitamin B5). 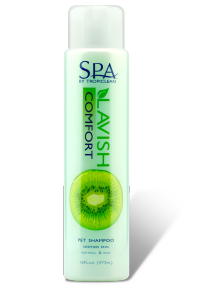 Cleans and soothes my dog's skinThis shampoo cleans and soothes my dog's skin. I always get comments about how good my dogs smell. I swear I should get a commission on how many people have gone on to get this product because of how good my dogs look and smell. Every dog owner should have this!I LOVE this scent of TropiClean shampoo. 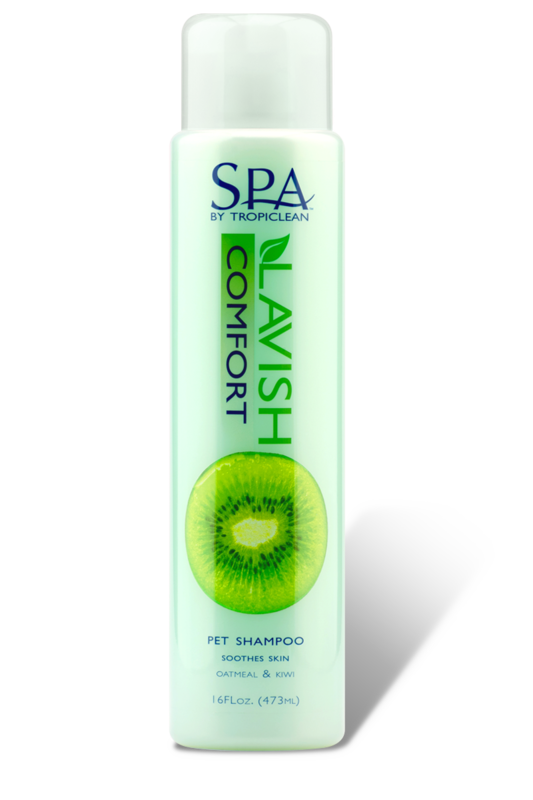 My dogs actually take a shower with me, since I have been using the comfort lavish on them they have been calm. They enjoy taking showers and smell good for days!!!! 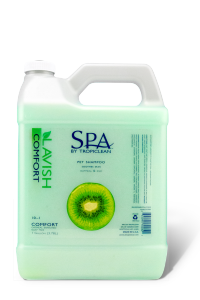 They also have the spray to boost the scent longer it has made my dogs fur softer and more lovable! Every dog owner should have this!